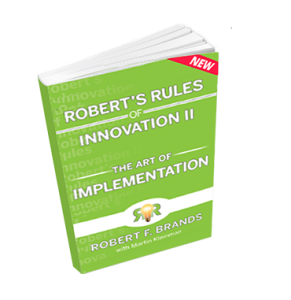 These fears and how every business can counter innovation assassination are explored in a new book, “Robert’s Rules of Innovation II: The Art of Implementation,” by Robert F. Brands, who brings decades of experience implementing innovation as the founder of InnovationCoach. His goal is to teach us how to drive a culture of continuous innovation into every work environment. Concluding the Great Recession is now behind us and needs to be forgotten. There are no more excuses, no more reasons to postpone, ignore, or otherwise assassinate innovation in your organization. Whether you manage an entrepreneurial startup or a multinational conglomerate, the competitive pressures are unprecedented. Are you now unleashing your team’s full execution abilities? 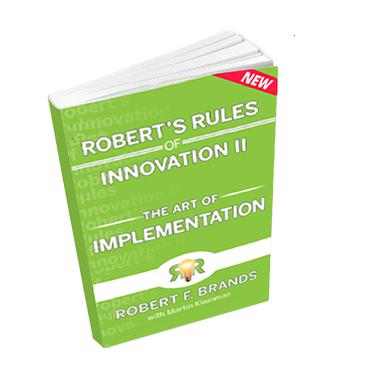 Every entrepreneur and individual striving for success should have the best business books Robert’s Rules of Innovation I and II in their arsenal. Click here to purchase a copy.